While the United States and Russia traded sanctions this week in a burgeoning crisis over Crimea, astronauts from both nations rose above the discord in their sanctuary hundreds of miles from Earth. Experts say mounting political and economic tensions between the old Cold War foes are unlikely to upset cooperation in space at the moment—something which would be damaging to both sides. Reliance on Russia's Soyuz spacecraft is a key reason why the United States cannot break off space ties. However, the immediate future depends on how Russian President Vladimir Putin responds to US sanctions over Crimea, said John Logsdon, a member of the NASA Advisory Council. "It is always in Russia's capability to cut off their service," said Logsdon, estimating the likelihood of such an action at 20-25 percent. "It would be a catastrophe. "There is mutual dependence and that provides a good motivation to isolate this from the broader issues." Concerns have been raised about the US reliance on Russian engines to power Atlas V rockets which propel military satellites into space, in case Russia were to cut off supplies. The Pentagon this week told the US Air Force to conduct a review of its use of the Russian-made RD-180 rocket motor in the Atlas V.
But the Air Force already has a two-year stockpile on hand, so no drastic measures are imminent, a defense official told AFP. The retired astronaut Chiao said it would take something much worse than the Crimea crisis to sever relations in space. "I don't for a second think this is going to happen, but if we and Russia got into a shooting war, that would certainly disrupt operations aboard the station," he said. NASA also said it foresees no change to relations with Russia in space. 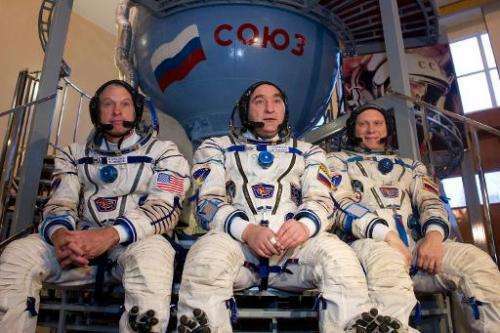 Representatives from Russia, the United States, Canada, Japan and Europe have lived continuously aboard the space station in rotating crews for more than 13 years, and the life of the station was recently extended to 2024. 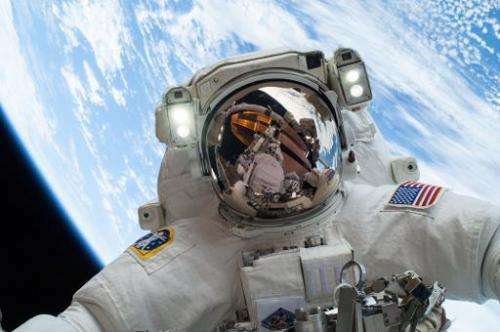 "We are confident that our two space agencies will continue to work closely as they have throughout various ups and downs of the broader US-Russia relationship," NASA said in a statement to AFP. 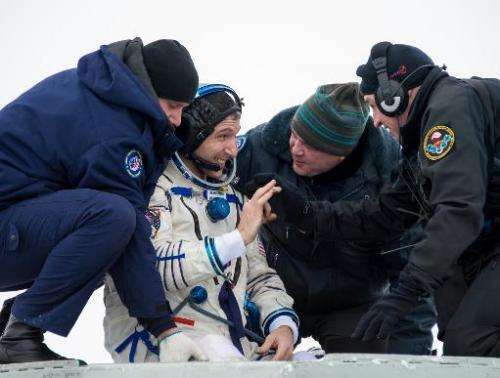 On March 25 that relationship will be renewed once more, when one American astronaut climbs into a tightly packed Soyuz spacecraft alongside two Russian cosmonauts. Together, they will blast off toward the space station to join the three men—one from Japan, one from America and one from Russia—who are already there.